Pinole is a quiet town between El Sobrante and Hercules in the East Bay. The housing costs in Pinole are generally lower than the more central communities of Oakland, Berkeley, Albany and El Cerrito. 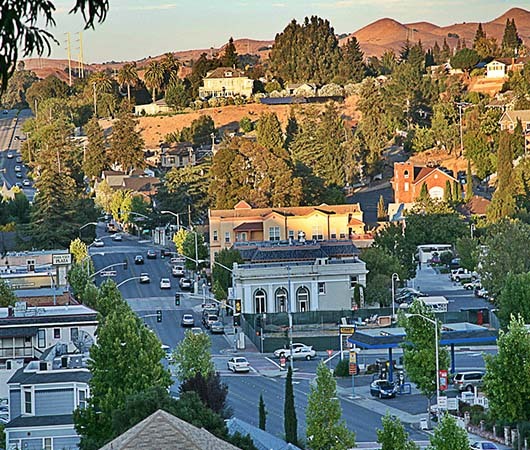 Although the commute is longer from Pinole to the city, for many people the advantages are the peaceful suburban neighborhoods and the warmer, less foggy weather. Pinole has a wide variety of housing options. Choices span from the Queen Anne cottages and bungalows of "Old Pinole" to newer townhouses by the bay, and traditional ranch style homes, with some horse properties tucked further back in the canyon. Recently, the city of Pinole has sponsored community activities such as the Farmers’ Market, “Sounds in the Park” music performances and the Pinole Fall Festival and Parade. The Pinole city web page has a calendar of community events, as well as other useful information about the town. Our real estate agents in Pinole will help you find the perfect home.